I have been in love with the monochromatic trend since it began, but had yet to attempt it…mainly because I didn’t have enough pieces that were the same color to pull it off. So I decided that before fall is here, I needed to give it a try with all white (which I have plenty of). I was surprised at how many different combinations I was able to come up with using items in my closet, but this one (with the addition of some metallic accents) was my favorite. Very clean and sophisticated outfit! I like your blazer a lot! I like those silver accents so much. Love this outfit! I have the same top and may need to give this look a try. Love your new shoes! 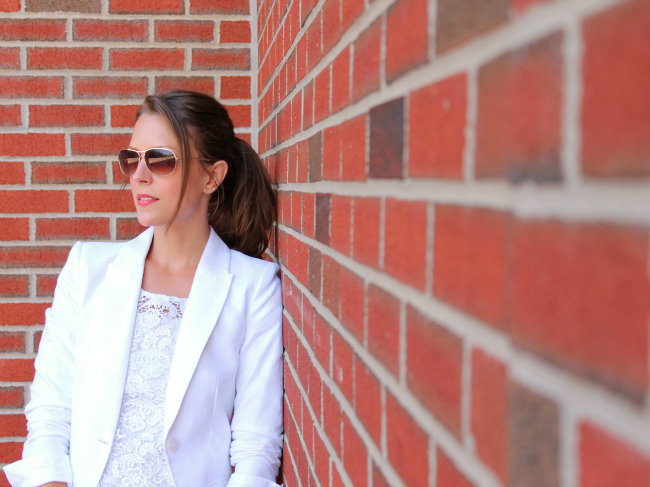 obsessed with that blazer – just found your blog and I love it! newest follower. Love it! I'm not brave enough to wear all white…I always end up spilling something on myself. The metallic accents are a nice touch! You look great, Kim! I've had a pair of Topshop silver loafers bumping around in my closet for the past few months (with not a clue on what to pair them with)–I think you've just given me a few ideas, woohoo. You pulled this off perfectly! And those shoes are as awesome as I thought they would be! I love it! The metallic accessories add the perfect touch. I love the all white look! That shirt and the shoes are great!! Adore those shoes… damn my big feet! haha, All white is amazing… love that blazer! Gorgeous, gorgeous! I've been wanting to wear an all-white outfit with my blazer too, but I cant bear the thought of wearing a blazer in this heat!! Lol. It looks great on you! I like the croppe trousers! 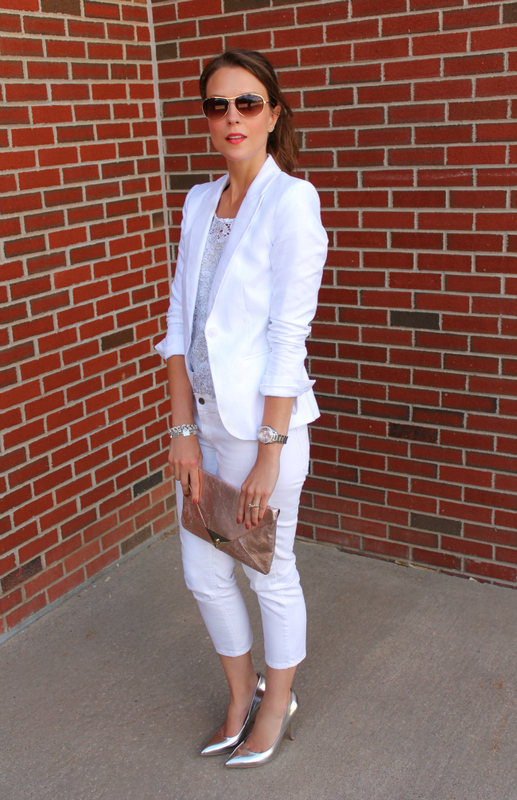 love all the white, i need a white blazer! Gorgeous look! Those metallic shoes are delish! White is so classic and sophisticated. Looks great on you. I love this. I always get nervous when wearing white (b/c im messy), but its such a classic look! beautiful! I like that the whites are not the exact white shade…love this look for summer Kim! LOVE all white 🙂 Definitely such a sleek look and perfect for this fall! Cute clutch! You look amazing in all white. I love how you accessorised and topped the look with silver pumps. Flawless. 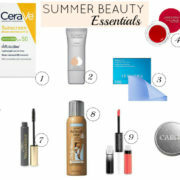 SO in love with your blog! You look amazingly chic in all your outfit postss and finally…. I can relate to the prices! I love all white with a touch of metallic! It looks awesome! monochromatic white is one of my favorite looks for summer, so elegant and chic! i have been wanting to try this look for awhile now, but just haven't gotten up the courage to brave all white when i am such a klutz!! The texture of the top really makes this look pop! As do the silver accents. Very classy and fun. I swear I now own a handful of new lipsticks because of you! They looks so great on you but I feel so…bright!!! And the white looks super cute 🙂 I'm thinking about doing mono in red for tomorrow! Yikes! Loving this polished all white look. I am doing all white today too! I am loving all white looks! You look fab! gosh i LOVE those shoes!! White on white with the gold details – FAB. Lace shirt is so cute! 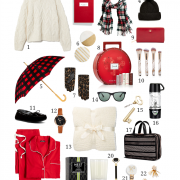 I love the monochromatic trend too, and I think yours is the best post I've seen! I love the look of all white, it's so fresh and crisp. Beautiful! Awesome look, you look so chic! Loving the white and the touch of metallic! I've been meaning to do an all white look! I better hurry before fall gets here. Great look! I absolutely love this outfit, it's so fresh and classy! You look fantastic!! I'm a big fan of monochromatic! Your outfit is beautiful! An all-white outfit is intimidating, but it looks effortless. so stunning and sophisticated. Really loving this white on white look on you! Such a great look! Absolutely adore your pumps! 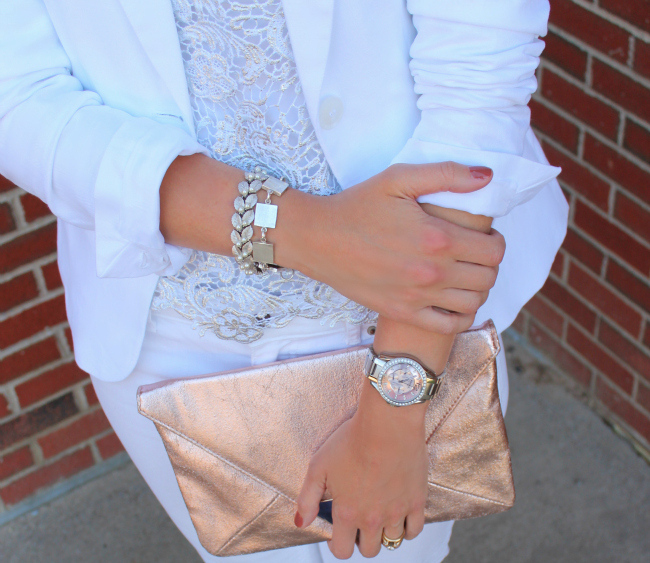 Love the all white look with metallic accents!